PADINI keep forming lower high & lower low. Is that rebound soon? Or going lower low again? 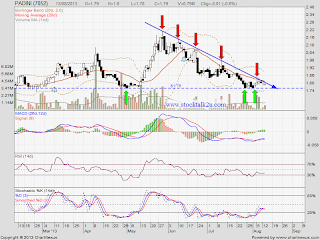 MACD trade at negative region, downtrend stock. Immediate support @ RM1.76 level. 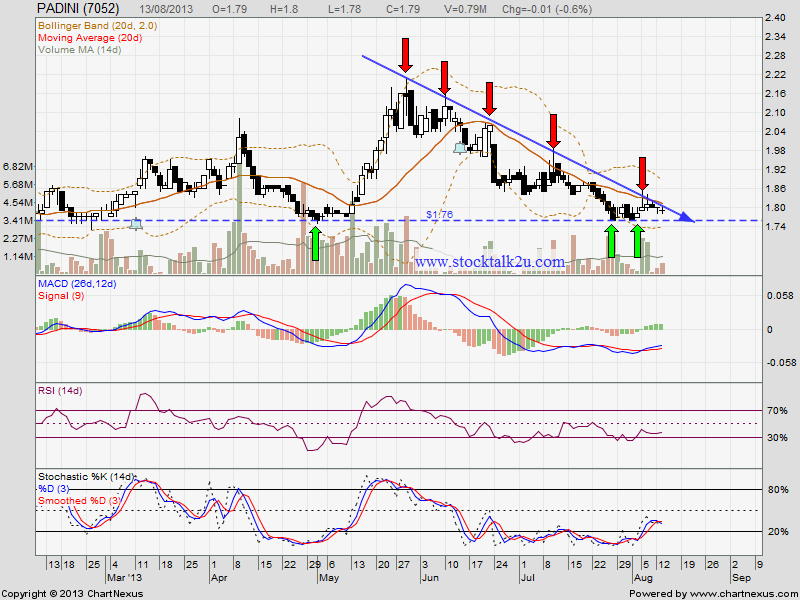 Subsequent resistance @ RM1.84 level. Let's watch closely for the breakout.